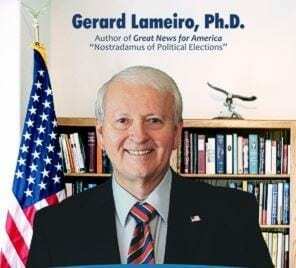 Dr. Gerard Lameiro, expert in forecast modeling, author, and frequent guest talks about the SOTU feud between President Trump and Speaker Nancy Pelosi. She’s overstepping her bounds. When polls use “registered voters” instead of “likely voters” it can make a HUGE difference in the outcome. This Leftist-run House is proving that all they want to do is shut Trump down. They aren’t interested in solving problems for Americans. And they are not in tune with the American voters. This obstruct Trump tactic is hurting Democrats, but they don’t even realize it. Now that we’ve cleared out the RINO’s from the House, when we get to the next election, Republicans will refill those seats with true conservatives. Alexandria Ocasio-Cortez talks a lot, but she doesn’t make any sense.